The Community Cycling Center likes to do things a little differently. We’ve been out and about developing some new partnerships with the hope of offering you (our fabulous friends) new ways to support us and give back to our community. Whether you like wine, shop at Fred Meyer, or are looking to buy that new book on Amazon, the Community Cycling Center can benefit from your purchases. Below are several opportunities to support the Community Cycling Center. We hope you find something that you like. 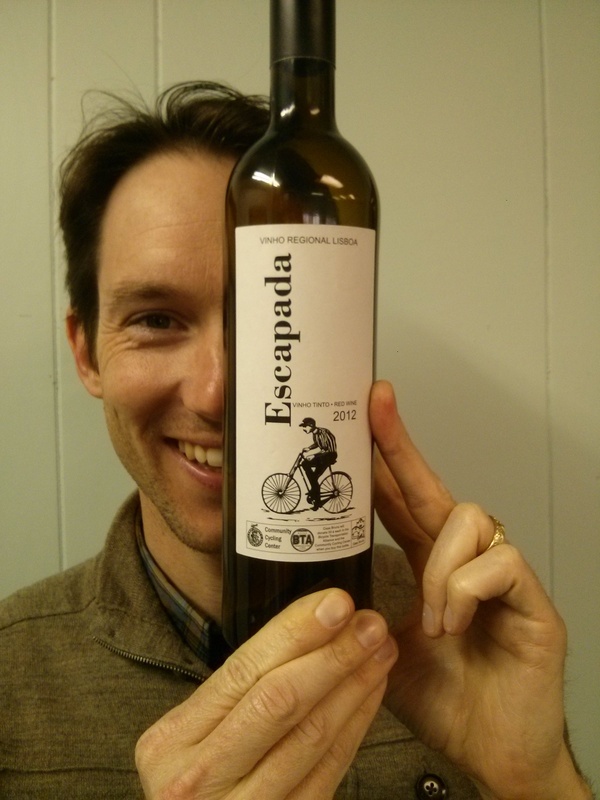 Casa Bruno, LLC: With each purchase of a bottle of Escapada Vinho Tinto Red Wine, Casa Bruno LLC will donate 50 cents to both the Community Cycling Center and the Bicycle Transportation Alliance. The wine can be found at New Seasons, NEST, Wine Up, and over 50 locations in Oregon. Click here for a full list. Fred Meyer Community Rewards Program: You can help the Community Cycling Center earn donations just by shopping with your Fred Meyer rewards card. Fred Meyer is donating $2.5 million per year to non-profits in Alaska, Idaho, Oregon and Washington, based on where their customers tell them to give. Sign up for the Community Rewards program by linking your Fred Meyer Rewards Card to the Community Cycling Center at www.fredmeyer.com/communityrewards. You can search for us by our name or by our non-profit number (82693). Every time you shop and use your Rewards Card, you are helping the Community Cycling Center earn a donation! Western Bikeworks: With each purchase made from the Western Bikeworks and Bike Tires Direct websites, you have the opportunity to make a donation to help support the Community Cycling Center. Western Bikeworks and Bike Tires Direct will match each donation made, doubling your money to make an even bigger impact. AmazonSmile: When you purchase an item through smile.amazon.com, look for products that are marked “Eligible for AmazonSmile Donation.” Then you can indicate the Community Cycling Center as the recipient of .5% of the purchase price. For more ways to support us, please visit our Support Us web page. We are always creating new and lasting community partnerships!